As always, a really efficient, friendly service - I love my tiny amenity pack. Thanks again everyone at Pure beauty. Thank you. Can I just say I think this is a fantastic website with speedy delivery and the loyalty scheme is an excellent idea. Thanks. You guys are so efficient and so good. 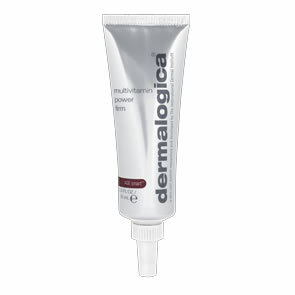 Sometimes I find Dermalogica cheaper else where but I never buy it you, you have super service and great extras and perks! Thank you! Order received and as prompt as ever. Fantastic service would highly recommend. Good Morning. Received my order yesterday, thank you very much for your prompt delivery and competitive prices. Loved the free goodies. Out of 10 stars, I would give Pure Beauty 11 stars...The excellent service and customer service Pure Beauty operates is second to none!!! The website is easy to navigate and I have always found my items where stated. The ordering process is faultless. The communications are excellent and I am always kept fully informed regarding my products and order! The delivery is always earlier then stated, my order is always package to an excellent high standard. I love Dermalogica and have used Pure Beauty for a while now...I wouldn't ever use another company...I would absolutely 100%, recommend Pure Beauty to all my family and friends. just wanted to say a very big thank you for the unexpected free gift with my order placed earlier this week. I noticed with your email on Wednesday morning it was a February promotion so a very nice touch to send it with my January order. You are a very professional company and I have been loyal to you for years because of that. Thank you again. Really impressed with the service, goods ordered Wednesday and with me today Friday. Thank you for the efficiency of the service; I would recommend you to others. Thank you for my products which arrived yesterday. This is my second order with you. I am very happy with your service. Products were well packaged and competitively priced. A 5% discount was offered and a £5 voucher following my first purchase. All very good. 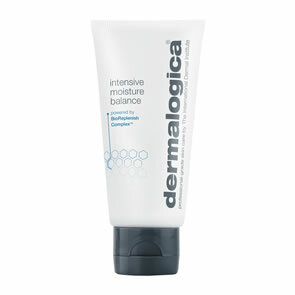 The free samples of my choice and free Dermalogica amenity pack were also lovely to receive; a treat for me!! as the products ordered were for my teenagers! All in all, an excellent service. Well done! I'll be back ! Dear Pure Beauty. Once again this year I placed an order with you for some Dermalogica products for my daughter in laws Christmas...Easily ordered...x...lots of lovely little freebies to choose from...x...arrived promptly...4 days...x...perfectly packed ...x Wrapped and ready. Thank you very much for your excellent service. Dear Pure Beauty Team, I am just writing to give you feedback on my recent purchase. I am extremely impressed with your whole service to be honest. I found your website easy to manoeuvre around, your prices very good, and the fact you get to choose freebie trial sachets and even a gift is just an added bonus! Wouldn't hesitate to purchase from you again. Many thanks! Thanks for my order that came very quickly. I am pleased with my products, and with the extra. I will be ordering my products from your company from now on. Thanks. Thank you so much for my order, it came really fast and I'm very pleased with it. Thanks again. Hello Team, I would just like to say thanks for dealing with my order so quickly and for the free gift and samples. I will certainly order from you again. Many thanks and Merry Christmas. I ordered Monday afternoon, the delivery came today! Excellent service and even better that the order came with free gifts. Thank you and well done!